What Kind of Ads Formats Are Available on YouTube to Increase CPC? The first question which comes in mind of every youtuber at first is to know what types of ads are displayed on YouTube. So here I will show you a screenshot of Ads Format taken from YouTube official help centre which has described all of the ads format present on YouTube at present. 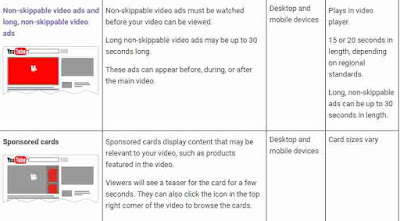 As you have seen , YouTube offers five different types of ads which are shown alongside our videos and inside our videos. 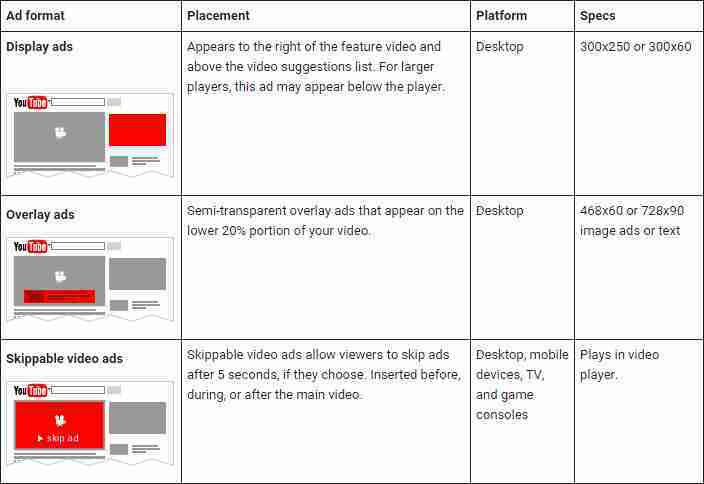 But every ad format gives us different revenues as shown in the list below. As like other functions, this function also requires high number of subscribers and users engagement on your channel.If your channel is old and have many subscribers then it will be easy for you to get approved for non-skippable video ads but its not really that much easy.Non-Skippable videos ads are hard to get approved for your channel. There are no exactly known requirements for this YouTube function but it seems that it would be very high number of views and subscribers for this function to be approved for your channel. If you have an old channel with a large number of subscribers and views then you can try by going to the link which i gave to you.But as i already said, its really very hard to get approved for this kind of advertisement as YouTube suggest every user not use such ads and that's why they have a difficult and hard requirements for this function to process. As we already know, there is a huge benefit of using non skippable video ads because it will give us a huge number of bucks with very less number of views. 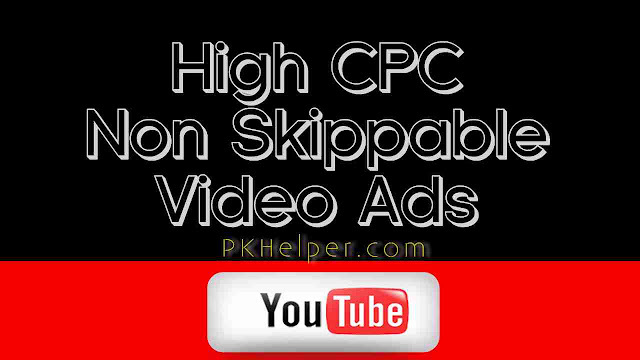 Non skippable video ads CPC is normally very high as compared to all other ad formats currently available on YouTube.So using such video ads format, we will get more revenue as we normally do but for this, there is also a great danger which will be very hard for us to ignore.But benefits are also there so if you have a channel on which users usually come from search engines, then you should request this ad format. It will surely increase your CPM and CPC. 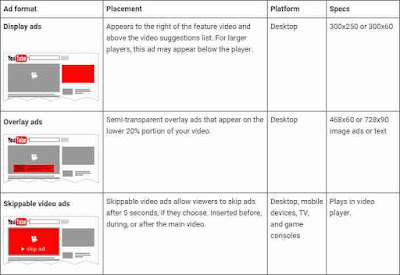 As we know very well, where there are merits of something, there are also demerits of that particular thing.Non Skippable ads are also known as 'Abondenment Ads' as they can drastically decrease the number views on your channel.As soon as soon someone or a viewer watches ad, he tries to skip it but when he finds no button to skip this ad, there are 70% chances that he will leave the video but this percentage decreases when someone comes to your video from search engine either from Google or directly from YouTube.So be aware of this danger as it can decrease your subscribers as well as views. Should I Use Non Skippable Video Ads to Increase CPC on my YouTube Videos? If you have determined to enable these ads on your videos and if you are aware of merits as well as demerits of using non Skippable Video Ads then you can request YouTube for these ads.To request non-skippable ads simply go to the below mentioned web address, which will take you to the original form of requesting from YouTube. Usually this address is not accessible and YouTube has never revealed this too to normal YouTubers. Here i am giving you a tip for approval of non skippable video ads. 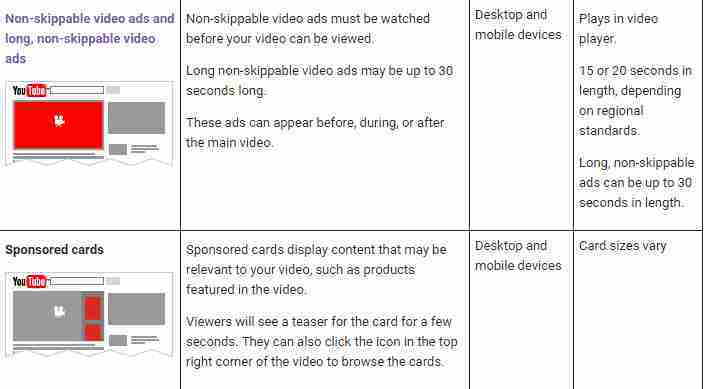 If your channel is not really that much big for these ads request to be approved, then you should join a YouTube network.YouTube networks will allow you to enable non skippable video ads very quickly because i have personal experience of this. I joined a YouTube Network and got my non skippable ads enabled automatically very soon.So you should join a YouTube network to get these ads format enabled on your YouTube channel. You can also read this article on Best YouTube AdSense Alternatives.